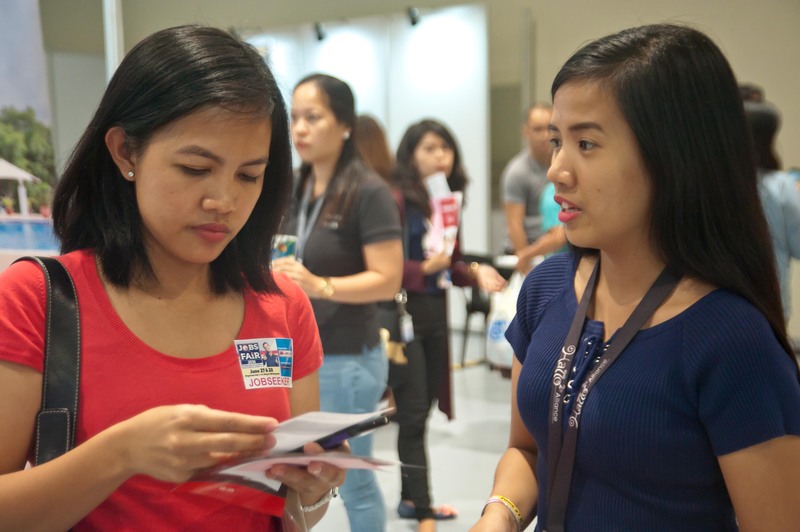 JobQuest.PH two-way link job solutions Inc. is keeping their promise in providing job opportunities to every Filipino. 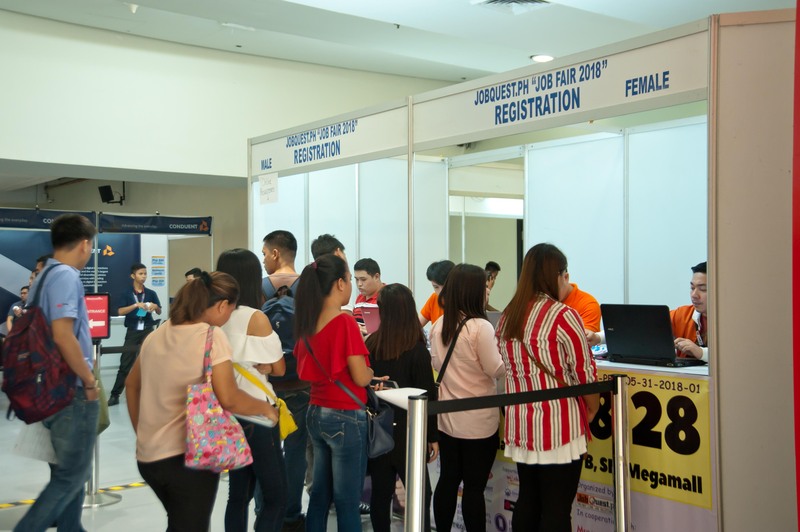 On June 27 – 28, 2018, they held their two-day job fair event at SM Megamall, Megatrade Hall 3 at 10:00am- 6:00pm. 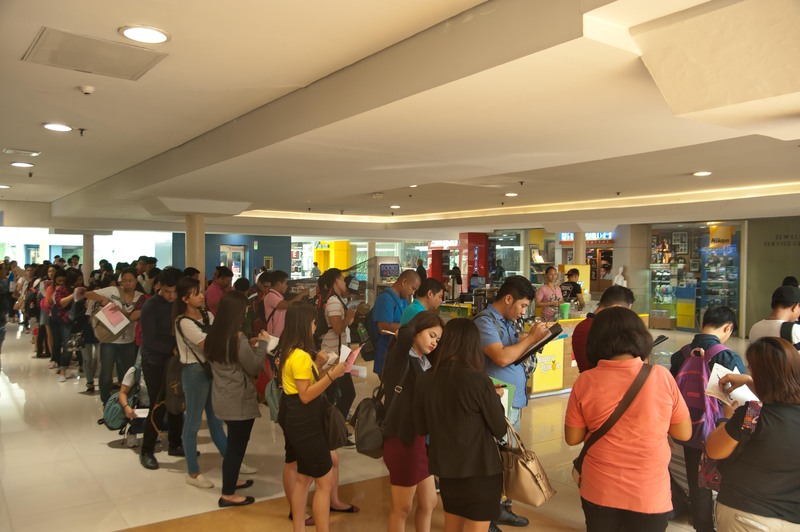 Over 60 companies joined the two-day employment event including Hallo Hallo Job (HHJ) who’s currently looking for qualified applicants on behalf of its alliance, Hallohallo Inc. (HHI) and Hallohallo Entertainment Inc. (HHE) which was screened by HHI Human Resource (HR) Representative Mabel Perez. 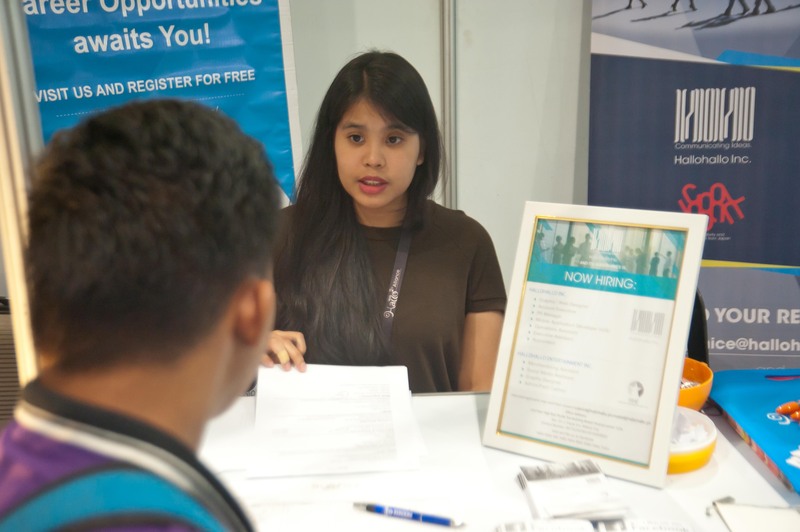 Companies in BPO industry, Real Estate, Manpower agency, Food and Beverage industry who joined Trabaho for every Juan 2018 offer both local and overseas vacancies for high school graduates, TESDA graduates, undergraduates and college graduates. While HHJ presented more than 10 job openings namely PR manager, Graphic/Web Designer, Mobile Application Developer (IOS), Accountant, Account Executive, Operation Assistant, Executive Assistant, Merchandising Assistant, Social Media Assistant and Admin/Field Cashier from HHI and HHE. Various applicants applied for the position of Admin/Field Cashier on HHE while a group of IT fresh graduates tried their luck to be part of HHI as Mobile Application Developer (IOS). 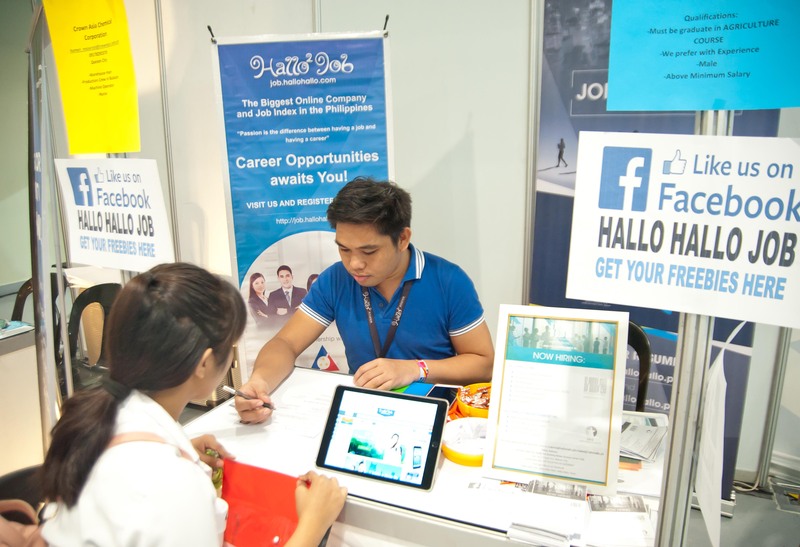 HHJ continues to have growing partner companies and provides thousands of career opportunities where job seekers can easily apply on their job posting site (http://job.hallohallo.com/) not only local office-based work but also field work inside and outside the country. Follow HHJ official Facebook page (@HalloHalloJob) to get the latest updates on job openings from its alliance and partner companies.